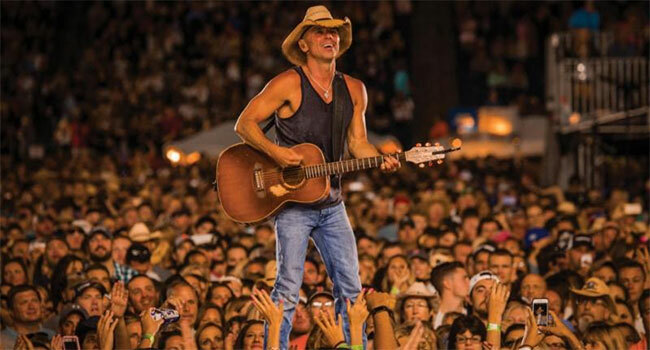 Kenny Chesney is taking his latest album, Songs For The Saints, on the road in 2019, but in a more intimate setting than his previous treks, including 2018’s record-breaking Trip Around the Sun Tour where he played to over a million fans at Foxborough’s Gillette Stadium. He knows his massive stadium shows are a rite of summer, playing to over a million people on every single tour, but the eight-time Entertainer of the Year wanted to take the music to directly to the fans. Initial dates for the 2019 trek include Champaign, Illinois; Grand Rapids, Michigan and Tuscaloosa, Alabama, making Songs for the Saints 2019 Tour a decidedly different kind of tour. Focusing on the heartland, mid-Atlantic and South over the course of three months, it’s a chance for the songwriter/superstar from East Tennessee to get into several cities without stadiums – and Chesney is fired up about the prospects. More dates will be announced soon.